While some commentators suggested the former Toronto police chief stuck his foot in his mouth, we should thank Fantino for his comments because they raise some important questions that Canadians seldom talk about. How is Canadian foreign policy made? Which countries are we friendly towards and why? Which do we work against and why? What should be the primary purpose of Canadian foreign policy and aid? 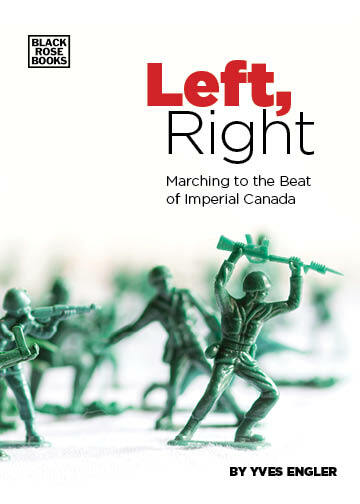 As the author of five books on Canadian foreign policy, I know the answers to these questions can be controversial and complex. A short essay is certainly inadequate to properly address the subject. But a short story about Canada’s relationship with one of the poorest countries in the world might help answer these questions. According to the CIA, the Democratic Republic of the Congo has the planet’s lowest (228th in the world) per capita Gross Domestic Product. Coincidently (perhaps), this same country, Africa’s largest by landmass, may possess more mineral wealth ($24 trillion by one calculation) than any other. So, what sort of relationship does Canada, home to the most mining companies in the world, have with the Congo? Since April 2012, Rwanda has reasserted its military control over a large chunk of the Congo. Rwandan troops and the M23 militia group it sponsors recently captured Goma, a city of a million people in the mineral rich east part of the country. Rwanda’s actions in the Congo have already led to significant suffering. About 650,000 people have been displaced from their homes over the past seven months and there have been many reports of looting, rapes and assassinations. In the days after Goma was captured, the Red Cross said it picked up 62 bodies from the city’s streets. While Rwanda is in Ottawa’s good books, the Conservatives are generally hostile towards the Kabila government. Kabila angered Western countries when he signed a $6 billion resource infrastructure deal with China in 2008. The Conservatives are also concerned about the government’s move to regain control over the country’s natural resources, including the $3 billion in Canadian mining investment in the Congo. During the recent Francophonie summit in Kinshasa, Harper called on Kabila to improve the country’s business climate, “especially in the natural resources sector.” At the G8 in June 2010 the Conservatives inserted an entire declaration to the final communiqué criticizing Kinshasa’s treatment of foreign investors, because the Congo revoked a mining concession held by Vancouver-based First Quantum. Just the Conservatives looking after “Canadian interests,” one could argue. And this pro-corporate meddling in the Congo is nothing new. It’s certainly not the first time Canada has worked against the Congo’s population, which remains impoverished despite almost a century and a half of foreigners “developing” the country’s resources. In the early 1890s, Halifax native William Stairs led a 1,950-man mission to conquer the resource-rich Katanga region of the Congo on behalf of Belgium’s King Leopold II. The Royal Military College in Kingston maintains a plaque devoted to Stairs’ work even though he was notoriously racist and barbarous. Some 10 million Congolese were killed under Leopold’s rule. Canada also played an important role in the UN mission to the Congo that facilitated the murder of independence leader Patrice Lumumba in 1961. Apparently a Canadian officer handed Lumumba over to the CIA and Belgium operatives who would later dispose of the prime minister. We ask again: How is Canadian foreign policy made? Which countries are we friendly towards and why? Which do we work against and why? What should be the primary purpose of Canadian foreign policy and aid?